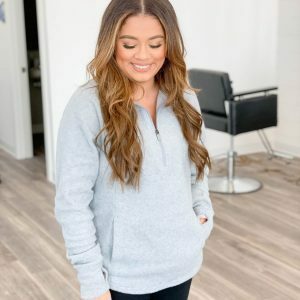 I have another fun collaboration and it’s with my girlfriend Andrea from Glam Hungry Mom. We have been friends for a long time now it seems. Just like me, she also has two little boys and loves all things beauty. So we hit it off great. 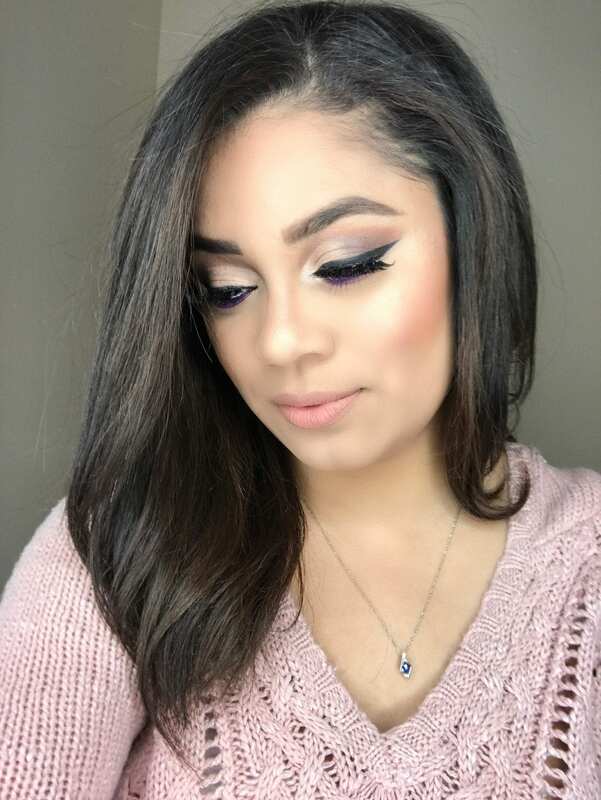 We wanted to create a makeup look using a palette we haven’t used but that included a pop of color. We both decided to use the Anastasia Beverly Hills Self Made palette. 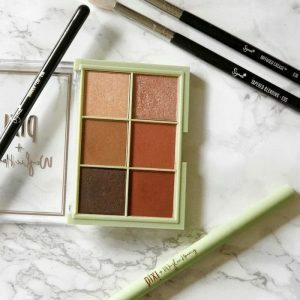 We know that this palette is no longer available but if you’re someone that has this palette then here’s a little makeup inspiration from the both of us on what you can create using the palette. 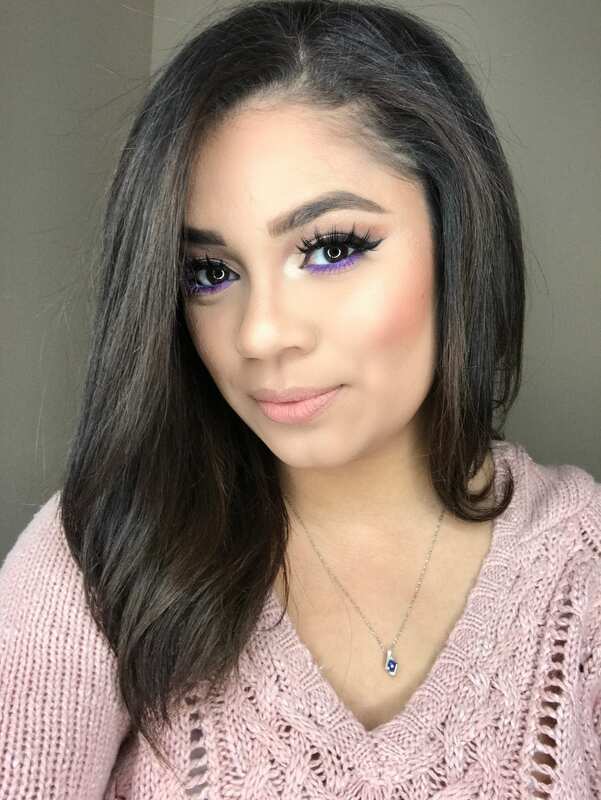 I wanted to create a look using the bright purple in this palette but I also wanted to do a half cut crease with it. So this is the look I came up with. I loved how the pop of color was on my lower lids which of course brought out my brown eyes even more. If you’re a brown eye girl, definitely try this. 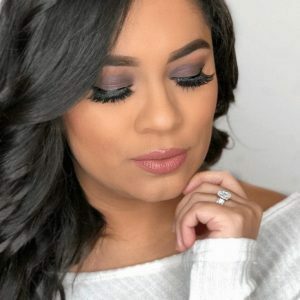 Face: Rimmel London Stay Matte primer, Rimmel London Stay Matte foundation, Maybelline Fit Me concealer, Anastasia Beverly Hills cream contour palette, Maybelline Master Fix setting powder, NYX Cosmetics Matte bronzer, NYX Cosmetics Ombre blush, Laura Geller Gelato Swirl (gilded honey). 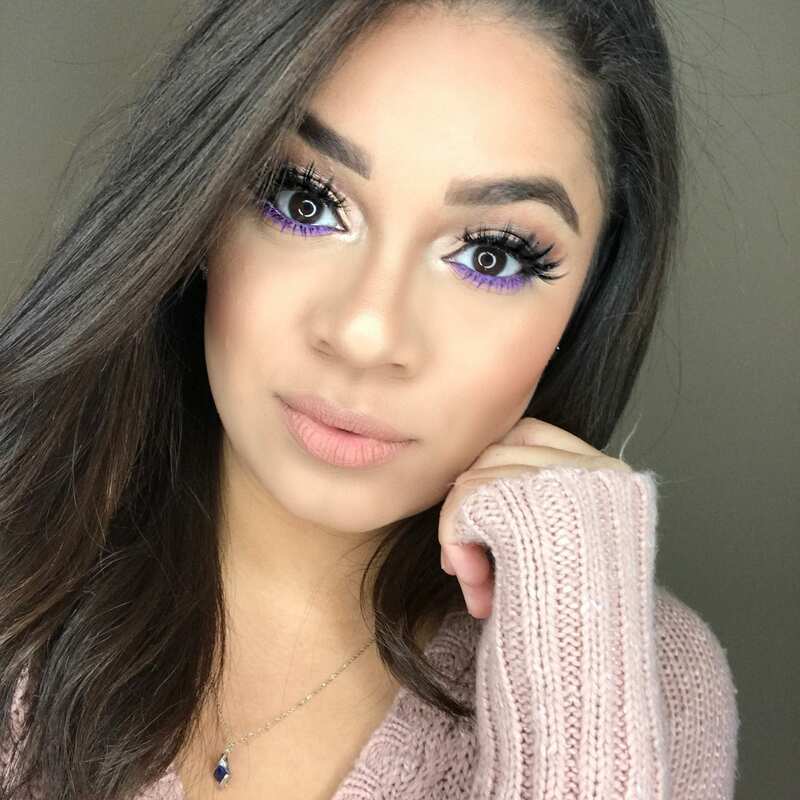 Eyes: Anastasia Beverly Hills Self Made palette, Sigma Beauty Gel liner, Rodial Glamolash Mascara XXL, KoKo Lashes (Stella), It! Cosmetics Super Skinny Brow Pencil, Rimmel London Scandaleyes Kohl white liner (mixed with purple eyeshadow), and Pop Beauty Purple Mascara. 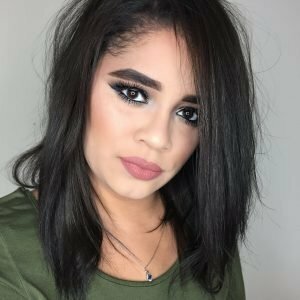 Be sure to check out Glam Hungry Mom’s makeup look because you’re going to love it.